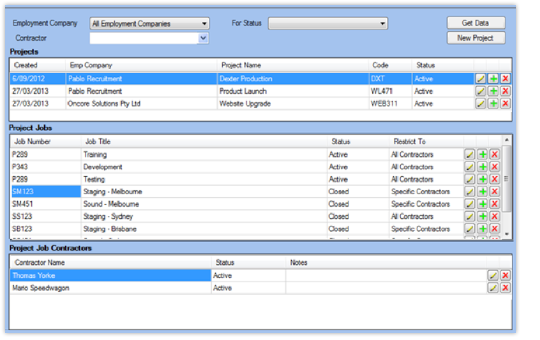 Oncore’s ECM software offers unique and customisable features to ensure your contractors are taken care of, so you can focus on growing your business. Oncore’s contractor management software allows you to better manage project costs, with transparent project tracking that allows you to easily create projects and then allocate jobs to them. This ensures projects all are managed separately and it is then simple to connect workers to particular jobs, so their time can be tracked and monitored. For the contractor, it is also simple for them to allocate a job number to a work entry when completing their online timesheet. This makes it easy to manage the time and budget of every individual project, allowing for up-to-the-minute progress updates and data for project comparison.